Happy Diwali 2014, I don’t know much about Diwali so i did my best with this theme. This theme comes with 3 HD only backgrounds. 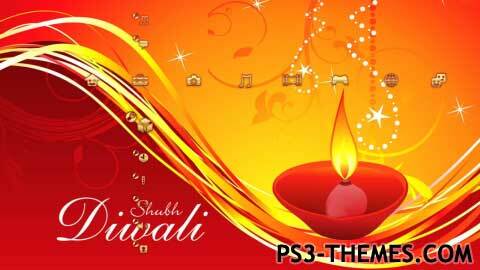 This theme was posted by PS3 Themes on November 6, 2014 at 2:29 pm, and is filed under Holiday/Seasonal.You can leave a response or trackback from your own site. One little Indian sittin’ in a tree/ R-I-P-P-I-N-G.
Haha, what u know about that? You did great bro Dawali is our festival of lights in our Indian culture it’s Christmas and New Years all in one.